North-central Colorado’s wild Grand County attracts vacationers year-round, and bargain-savvy travelers have made Kremmling their base camp for generations. 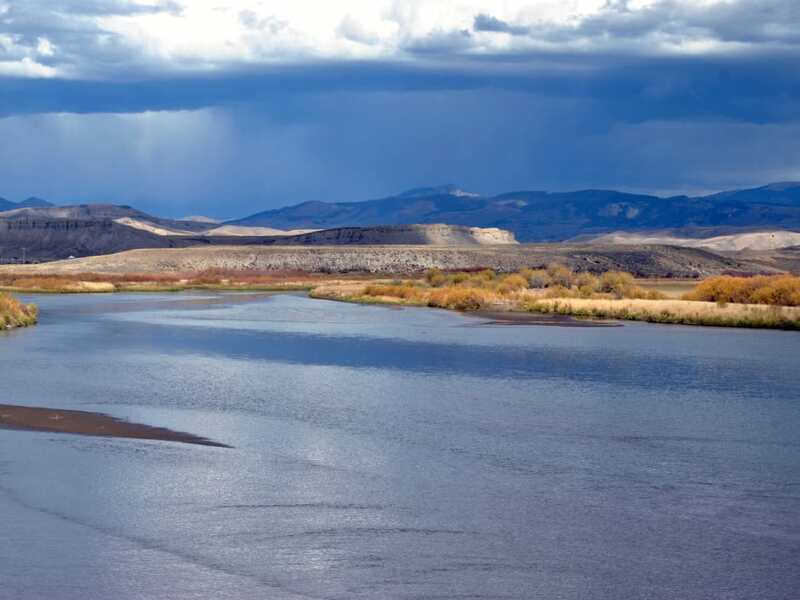 Whether you’re looking for a romantic getaway, a relaxing group retreat, or a fun-filled family vacation, Kremmling is the "best little town you’ve never heard of," a diamond-in-the-rough bursting with rough-and-rugged Colorado charm. Located two hours northwest of Denver, the town’s easy atmosphere, diverse outdoor recreational offerings, and central location to nearby ski areas make it the destination of choice for visitors seeking an authentic Colorado experience, rich with Old West history and culture. In a land once inhabited by the Ute and Arapaho tribes, the town’s humble beginnings start with Rudolph Kremmling, who opened a general store to serve pioneers crossing the country in search of gold, silver, and a better life on the frontier. Settlers—and eventually ranchers—grew the population, and many historic buildings from this time were preserved and the memories protected for today’s visitors to Kremmling. At 7,313 feet above sea level, Kremmling lies west of the Rocky Mountains and midway between Gore Canyon, to the west, and Byers Canyon, east. The town is located at the junction of US-40 and CO-9 in Middle Park Valley, home to the confluence of the Colorado River and adjoining Blue River and Muddy Creek. The Gore Range rises to the south, while the east and northeast horizons offer glimpses of the Indian Peaks and Rabbit Ears Range. Minutes from canyons, crags, and waterways, Kremmling provides the best of the west in every direction. 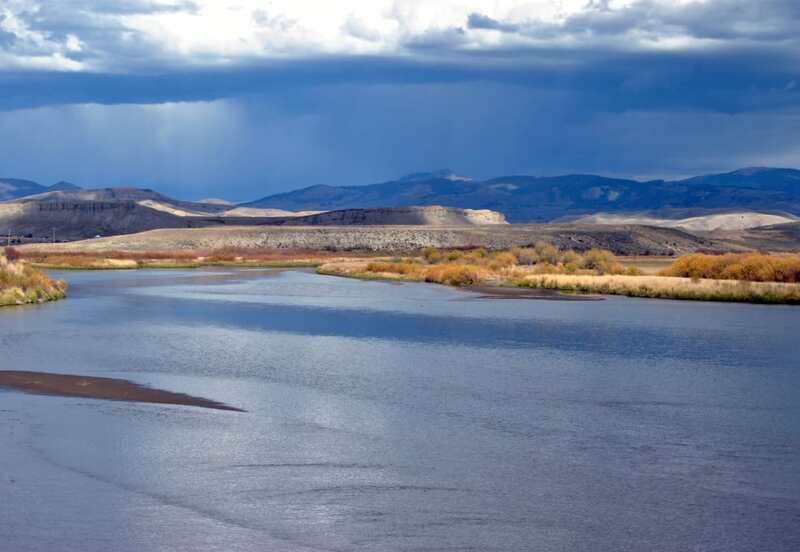 Kremmling’s location on the upper Colorado River ensures plenty of wonderful, water-filled adventures. Take a relaxing float trip or a fly-fishing tour on the mellow waters of the Upper Colorado. Enjoy a scenic glide in an inflatable kayak or tube, or ramp up the excitement with white-water rafting on class V rapids in Gore Canyon. Local outfitters offer half, full, and multi-day trips with everything you need—including experienced guides—for a safe and fun-filled outing. Do-it-yourselfers can rent a boat, kayak, or stand-up paddleboard and create their own Colorado River experience. Minutes away, Wolford, Williams Fork, and Green Mountain Reservoirs offer fishing, pontoon and paddle boating, knee boarding, and riding Jet Skis. RV and tent campsites are available for overnight reservoir stays. If you need to dry out for a day, try your hand at off-roading with a backcountry tour via four-wheel drive ATVs or dirt bikes. Access the town’s many trails from US-40 and County Highway 227 west of town, or County Highway 22 in the east. For a slower pace, try hiking, mountain biking, or horseback riding. Sportsmen will appreciate Kremmling’s designation as "The Sportsman’s Paradise" for its deer and elk hunting. Visit Kremmling in the snow season for a slew of winter sports. The town averages 58 inches of snowfall annually, so there’s no shortage of powder for snowshoeing, cross-country skiing, fat-bike riding, ice fishing, and snowmobiling. You’ll find hundreds of miles of marked trails at nearby Routt and Arapaho National Forests, Gore Pass, and Spring Creek Recreation Area. Before heading out for the day, fuel up your vehicle at Kremmling Mercantile or Kum & Go Gas Station and pick up whatever odds and ends you need to suit your plans, along with some snacks. A local favorite is jerky from Middle Park Meat Company. Then fuel your body with breakfast at Big Shooter Coffee or Moose Cafe. After a morning on the river or trail, head back to the Moose for a tasty lunch or treat yourself to a famous Jilly Burger at Jilly’s. Other dining options include Los Amigos Mexican Restaurant, Mountain Dragon Chinese Restaurant, Quarter Circle Saloon, and Grand Adventure Brewing Company. Several restaurants offer vegetarian options, so you’re sure to find the perfect platter to please everyone. Indulge your sweet tooth with dessert, then top off the evening with a craft brew at Grand Adventure Brewing while the kiddos sip a brown cow of root beer and chocolate ice cream. From burritos to bison burgers and pot stickers to pot roast, Kremmling’s food scene is surprisingly diverse, and it’s all delicious. Then settle in for a quiet night at a local lodge, cabin, hotel, or motel. Kremmling lodging options range from rustic to refined. Reserve a room at a mountain lodge or book a private cabin. You’ll find tent and RV camping, event space for meetings and special occasions, and motels with hot tubs, pools, and fitness centers. Some offer pet-friendly rooms. Wherever you stay in Kremmling, you’ll sleep well and deep, surrounded by Rocky Mountain air and the sweet sounds of silence. If you’re hankering for a day trip, options abound. An hour’s drive north on US-40 West takes you over Rabbit Ears Pass to Steamboat Springs for skiing, snowmobiling, and snowshoeing. Hike to Fish Creek Falls or soak at Old Town Hot Springs year-round. West of Kremmling, Trough Road offers stunning views for 24 miles to the Colorado River Gorge. Pullouts provide access to hiking trails, wildlife viewing and photography, and off-roading. Or head south to Summit County for skiing at six world-class areas or summer boating and stand-up paddling on Lake Dillon. East of Kremmling, US-40 takes you to Hot Sulphur Springs, where you can indulge in a hot mineral spring soak. Tabernash is the stop for cross-country-skiing, while high-altitude golfing can be found at the Pole Creek Golf Club. Drive a little further to Winter Park, a winter wonderland of adventure from skiing to snowshoeing, and sleigh rides to tubing at Coca-Cola Tube Park. In the summer, there’s mountain biking, hiking, fishing, and an alpine slide. Northeast of Kremmling, Grand Lake boasts the largest and deepest natural lake in Colorado—and it’s the west entrance to Rocky Mountain National Park. Lounge on the beach, charter a fishing boat, or try your hand at stand-up paddleboarding. Then drive Trail Ridge Road, the highest continuous paved road in the country. Wherever your day tripping takes you, outfitters and guides can get you the gear and the guidance you need to stay safe and enjoy the best Colorado has to offer. Whoop it up, knowing there are generous meals and a quiet place to rest your head back in Kremmling.